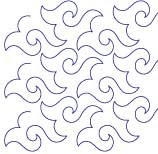 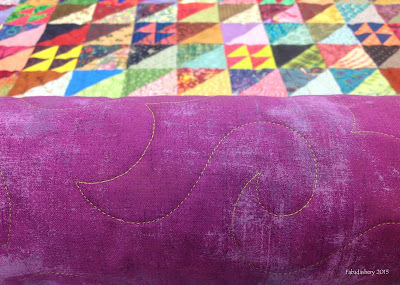 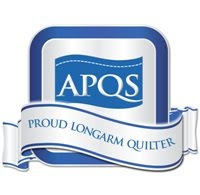 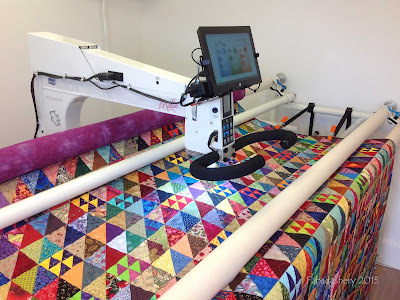 Recently I have had my half square triangle quilt on the longarm quilting machine. 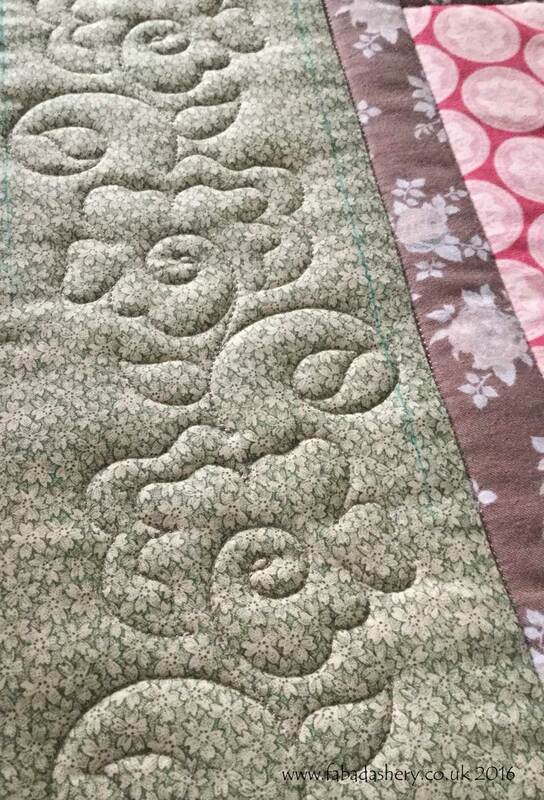 I made this quilt in the spring using fabrics from my stash with 3.5" squares. 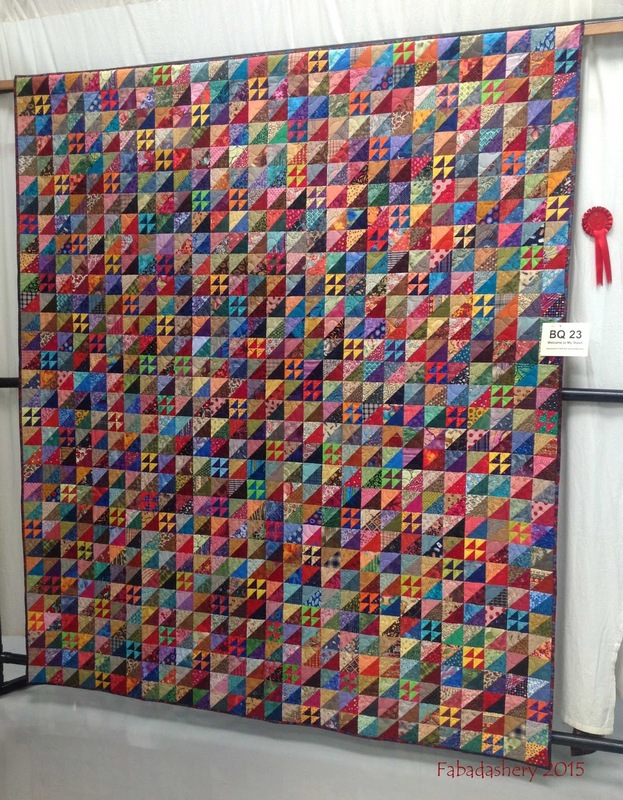 This is quite a big quilt measuring nearly 7ft by 8ft, with lots of seams, so this is probably not a quilt I would attempt to hand quilt. 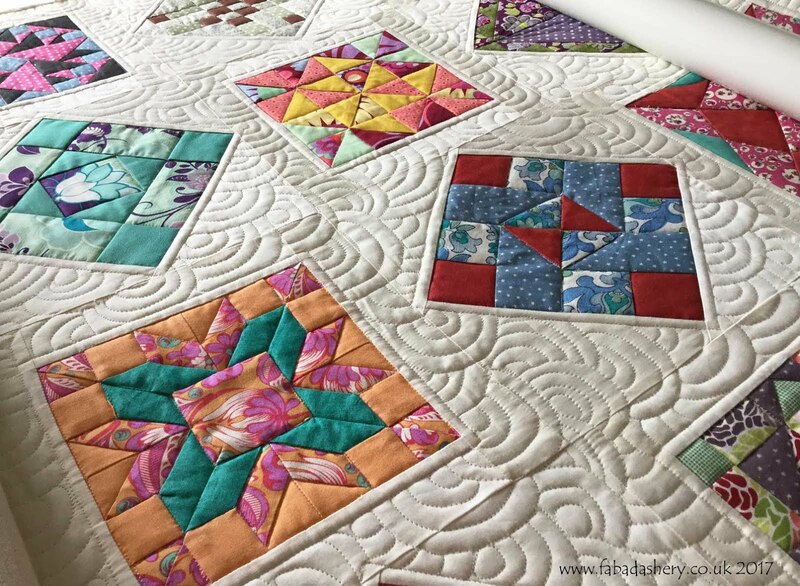 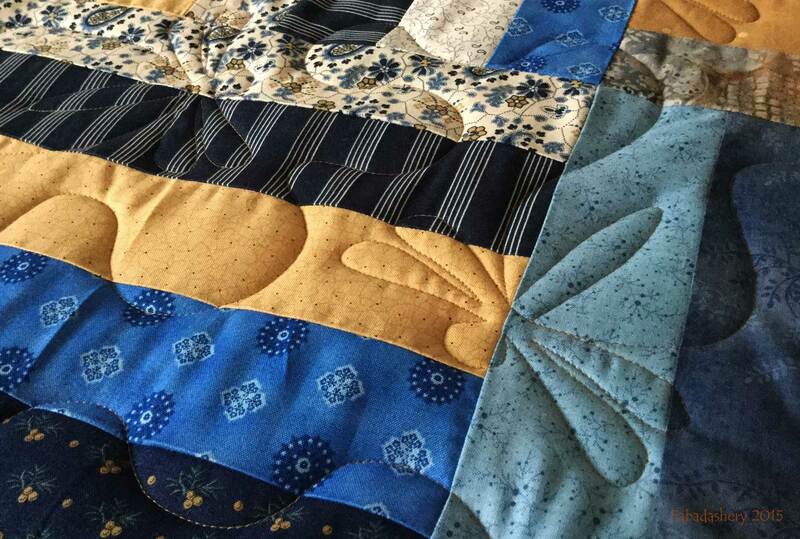 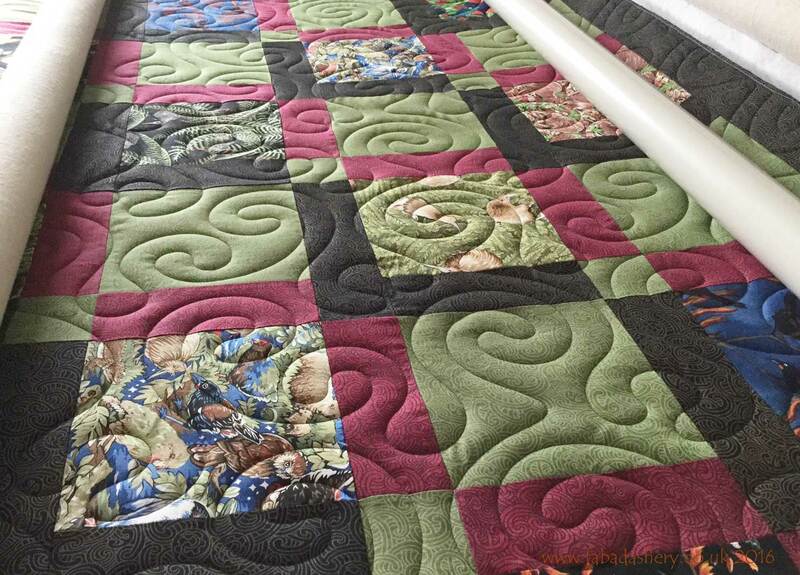 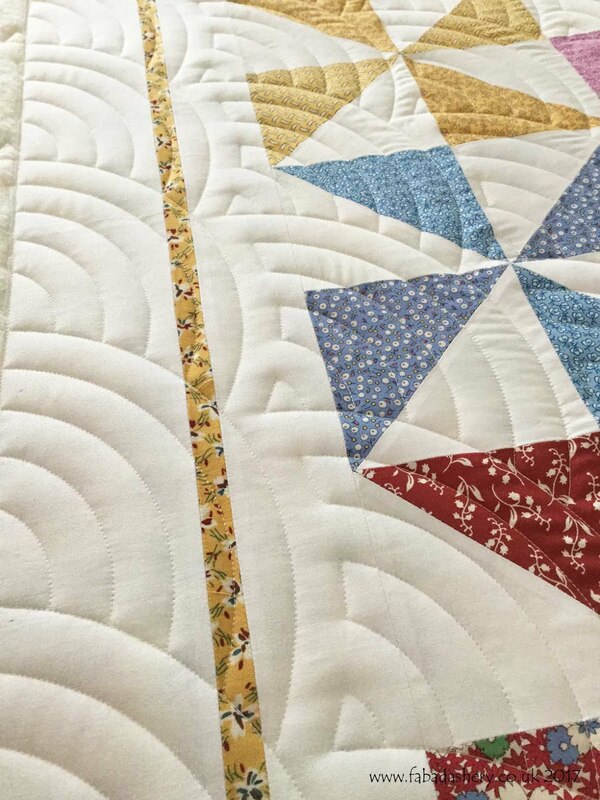 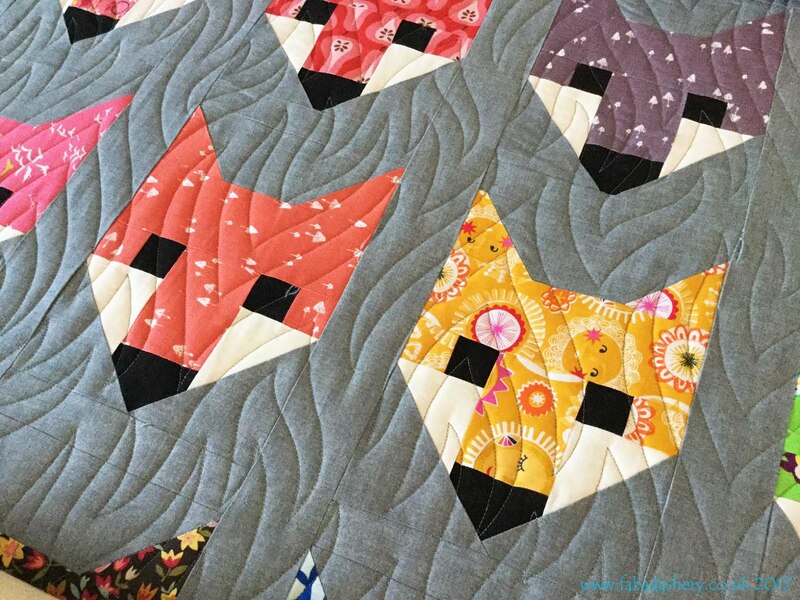 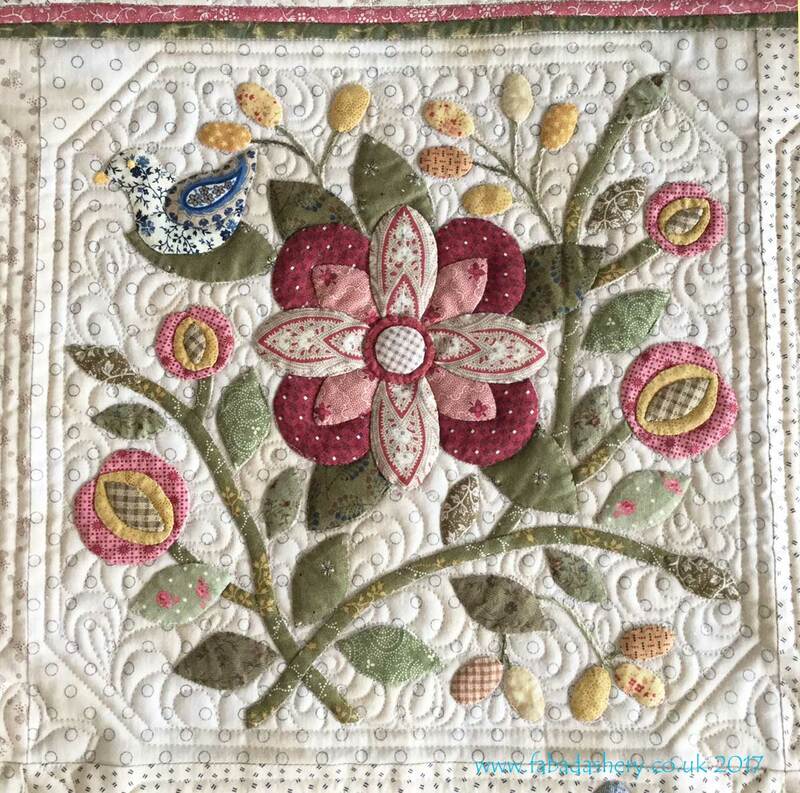 ﻿With so many bright, contrasting colours in the piecing, the quilting was always going to take the backseat, so I chose one of my more popular longarm quilting designs, 'Happy Times' by Hermione Agee. 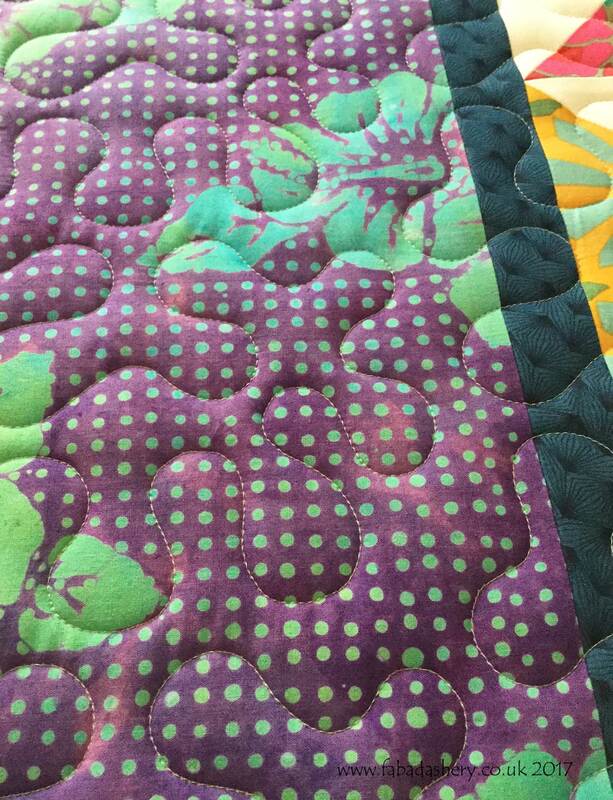 So whilst on the front the quilting is quite subtle, on this occasion for the back I chose a purple Moda 'Grunge' fabric, combined with a green Isacord thread which together showcase the 'Happy Times' pattern nicely. Once quilted there was just time to enter it into the 2015 Quilts UK show at Malvern, where I was overjoyed to receive a Judges Merit rosette.